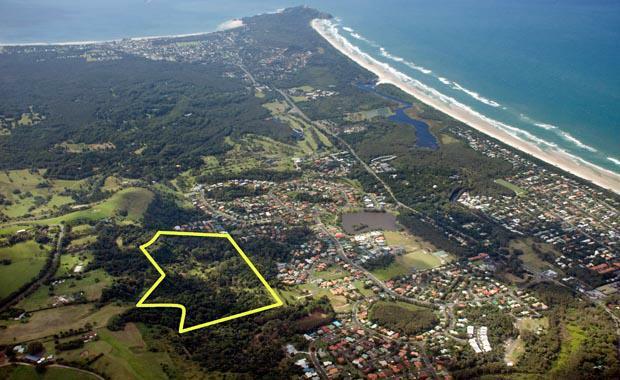 Seacliffs Byron Bay development features 33 large elevated lots, some including ocean views. Seacliffs Byron Bay is a rainforest fringed enclave just minute from the town centre. The development area consists of 16 hectares, which 75 per cent will remain a rainforest for the residents. Stage one of the release adds some much-needed stock to the tourist town’s dwindling supply of residential land which has impacted affordability in recent years. Mr Levy said the development would appeal to families, downsizers and locals wanting an elevated location. “It will cater to people wanting a family home, downsizing off larger blocks in the hinterland and those moving from the suburban ‘flat’ to an elevated site, while staying close to the town centre and other important amenities,” he said. “One of the major selling points is the feeling of being at one with nature while having the essential services of a standard residential block, such as town water and sewerage. John McGarth, Chief Executive of McGarth Estate Agents said in his recently released McGarth Report, “The heat of the Sydney market is starting to have an influence on regional areas, inspiring new confidence among local upgraders and investors to take advantage of low interest rates, high yields and great capital growth opportunities in their own backyard. “Competition from Sydney and Melbourne buyers is increasing as city dwellers look further afield for investment, retirement and lifestyle changes. “Byron Bay and its surrounding hinterland offers a lifestyle that is highly attractive and affordable to retirees, or professionals and their families wishing to relocate from our major cities." Mr McGrath said that post GFC, many baby boomers had delayed retirement to give their super nest eggs a chance to regenerate. “The recent property boom in other major cities has given them new found equity that is enabling them to buy their future retirement homes now,” he said. Seacliffs, located south of Byron Bay centre, is minutes from renowned surf break Tallow Beach and local treasure Broken Head Nature Reserve. The first release of stage one consists of 11 lots ranging in size from 718 square metres to 1,063 square metres, and priced between $450,000 and $525,000.